Would you like a sneak-peek into avast! Mobile Security version 3, avast! Anti-Theft and the debut of a new product, avast! Backup? We are looking for advanced users to participate in the avast! Mobile Security Beta test starting today. This Beta test will run for a full week in which time you can give us valuable feedback that we can incorporate into our product before going public to millions of users. Within 24 hours of the beta launch, you'll see upgrades to avast! Mobile Security and avast! 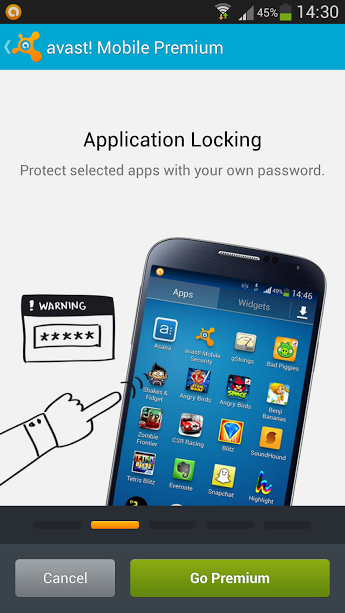 Anti-Theft in the Google Play Store. Our new product, avast! Backup will also be available to install from Google Play. !! Note that avast! Anti-Theft Advanced users (users who installed from our servers instead from Google Play) will need to send their IMEI to holzner at avast dot com to get their Anti-Theft client upgraded to the Beta version !! This release incorporates a premium line on top of our free offering. You can learn more about the features on the avast! Mobile Security forum.